I was up reasonably early this morning as we collect the hire car from Thrifty at Dubbo Airport. We needed to organise a taxi to collect us from the motel at about 8am, so decided to collect the car before having breakfast. No problem with the car collection, except we discovered it had a very low back tyre which we fixed ASAP, then back to the motel for a late breakfast. The motel is quite crowded with long weekend and school holiday visitors, and the staff were kept busy organising breakfasts. 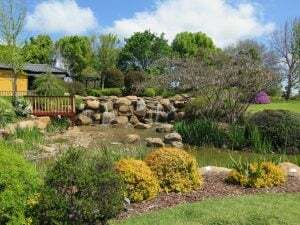 First off this morning we will visit the Information Centre to find a city map and some brochures of the nearby areas such as Narromine, Parkes, Wellington and of course the many activities around Dubbo, more specifically the Zoo. We missed out on coffee at breakfast, so took the time to stop for a coffee at the Information Centre, before setting out for the Dubbo Gaol (above). 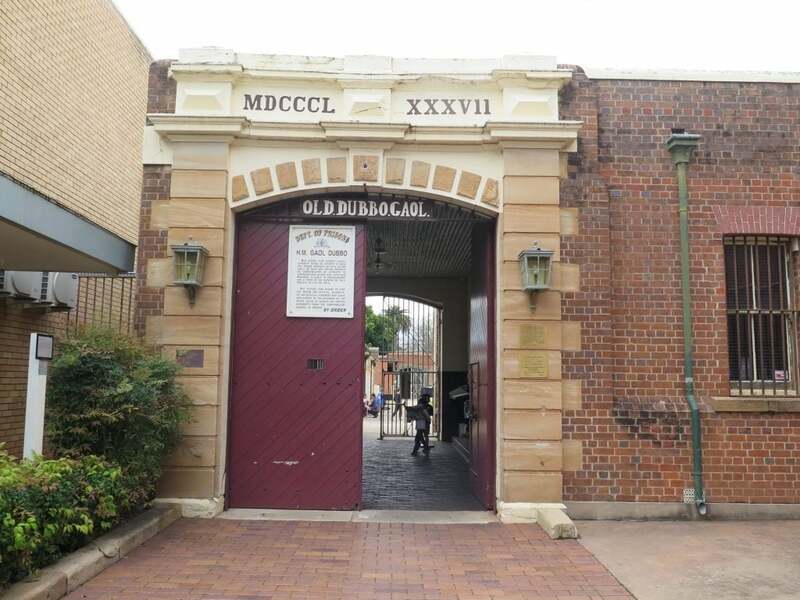 Old Dubbo Gaol is a state heritage listed building. This remarkably complete and intact gaol operated for 119 years from 1847 until 1966 and is still nestled in the main street of Dubbo. 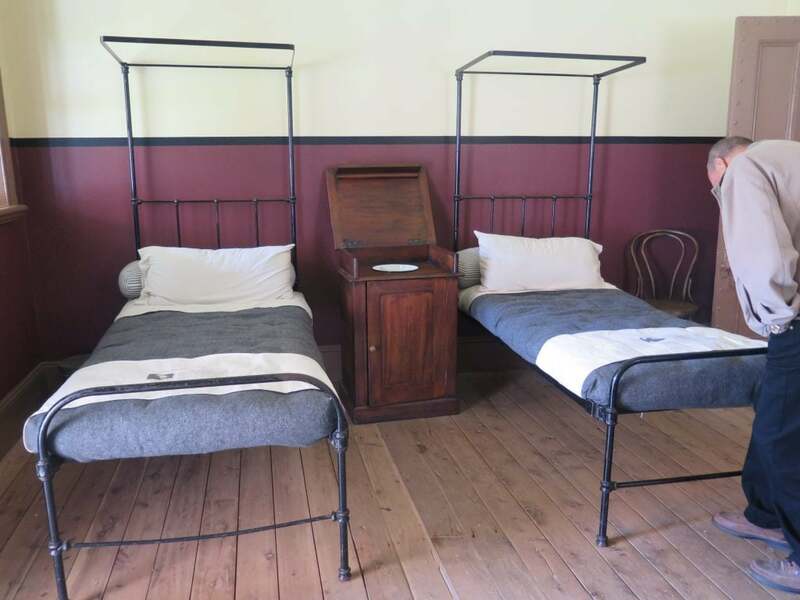 This set of 19th and 20th century gaol buildings create a pocket in time, and the experiences within brings history to life. 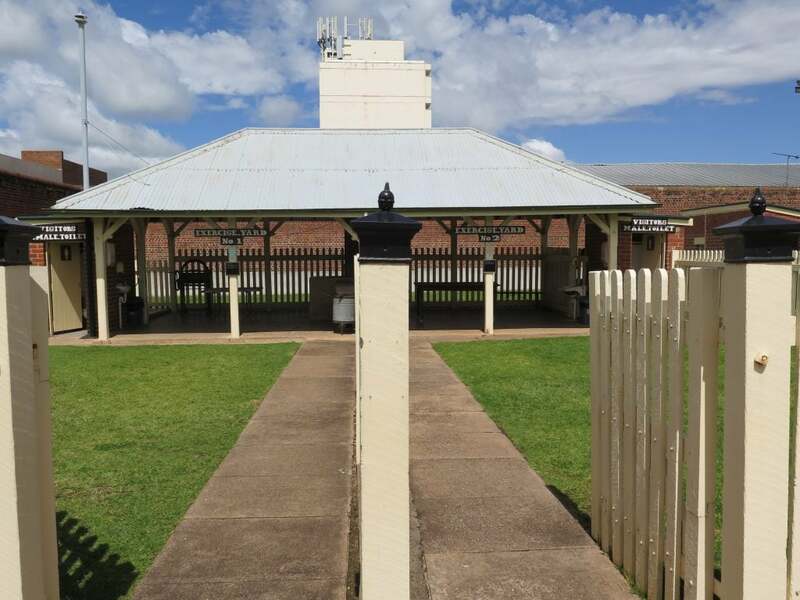 This regional gaol is representative of powerful, surprising and dark moments in Australian prison history. 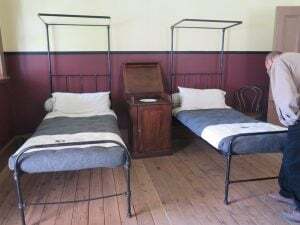 It houses important collections such as the hangman’s kit and gallows, and unforgettable experiences such as the dark cells and the birds-eye view from the watchtower, and is a rare piece of history open to explore. Armed with a map of the area, we set off firstly walking through the male cells, then through the much smaller female cells, we saw the exercise yards, the remand yards, the gallows, library/surgery and hospital wards. It must have been a very bleak and sad place during its long history as a gaol. 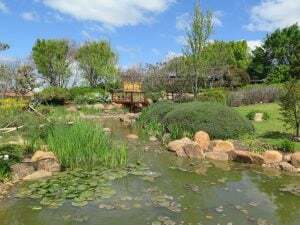 The weather had started to improve, the sun was shining, and we then set off to explore the Dubbo Regional Botanic Gardens, namely the Shoyoen Japanese Garden. ‘Shoyoen’ means ‘strolling and refreshing garden’ and is recognised as being one of the most authentic Japanese Gardens in Australia. It was gifted to Dubbo by its Sister City Minokamo, Japan. The abstract and highly stylised miniature landscape is a distinguishing feature of this style of traditional Japanese Garden and is full of religious symbolism and cultural references. 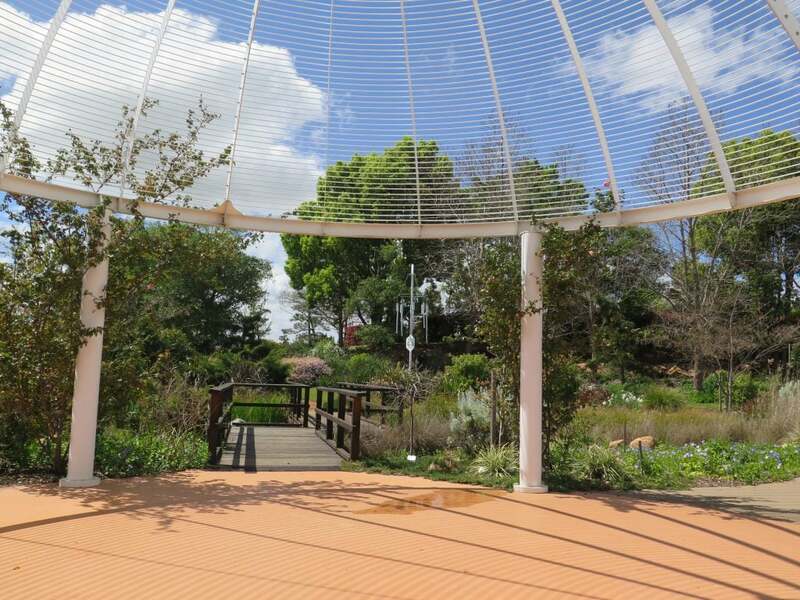 The garden was designed by students from the Kamo Agricultural and Forestry High School cementing a commitment to growth of understanding and friendship. 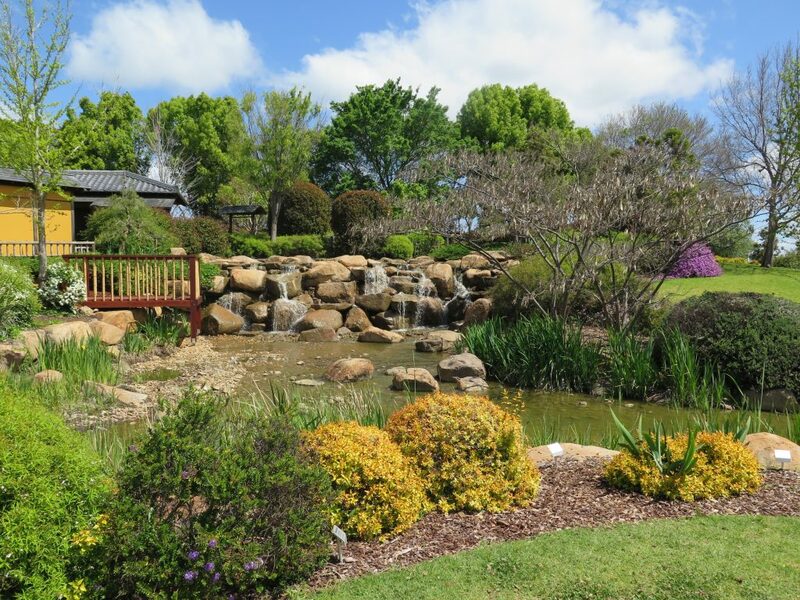 Work on the garden began on 25 February 2002 with the planting of the first cherry trees. The ‘ground breaking’ ceremony was performed by a Shinto priest, Mr Toshiyiuki Hasabe. 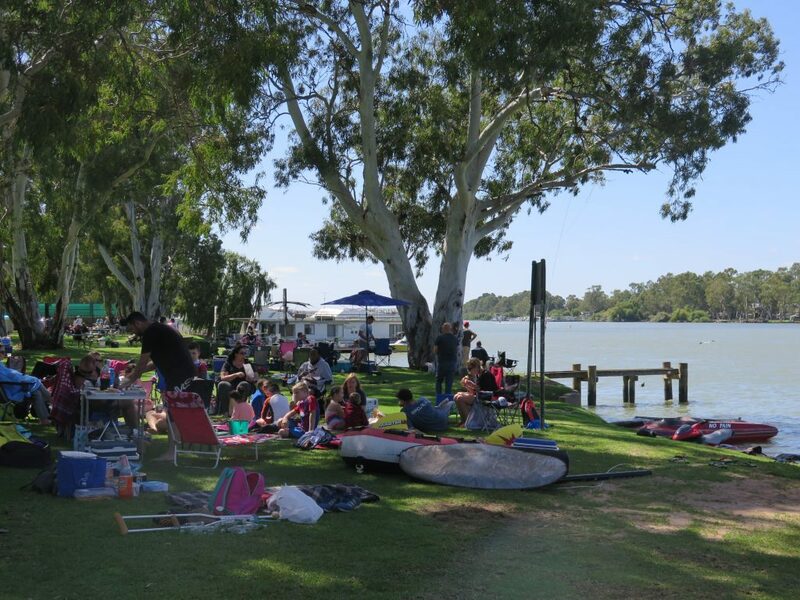 Shoyoen was officially opened on the 23 November 2002, the 153rd anniversary of the founding of Dubbo and the 13th year since the establishment of the Sister City relationship between Dubbo and Minokamo. The new entrance gate ‘sukiyamon’ was constructed in March 2013 by Japanese craftsmen and is one of the finest in either Australia or Japan. The recent rains had caused the main road into the gardens to be closed, however we were able to walk along the road, with lots of water alongside, and access the gardens through the main gate. Most Japanese gardens have a wonderfully peaceful aura about them, and this one is quite beautiful with lots of ponds and waterfalls, and it was a very pleasant walk through the different aspects of the garden. There had been some damage done with the rain, and staff were already out working on repairs. We have certainly covered some kilometres walking today, but feeling good about getting the exercise after a few days confined in coaches. Still feeling quite tired with the effects of this ‘flu, but determined it will not stop me from exploring further. Tonight we had dinner at the RSL Club which is a short walk from the motel – quite crowded with the school holidays but a nice meal. 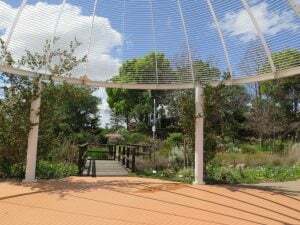 Our next few days have been planned around the weather forecast, and tomorrow we plan to spend some time at the Taronga Western Plains Zoo when we will no doubt do lots more walking – looking forward to it.